As many of you know, I am a huge fan of baking and baked goods. I come from an Italian family, where everything was made from scratch. 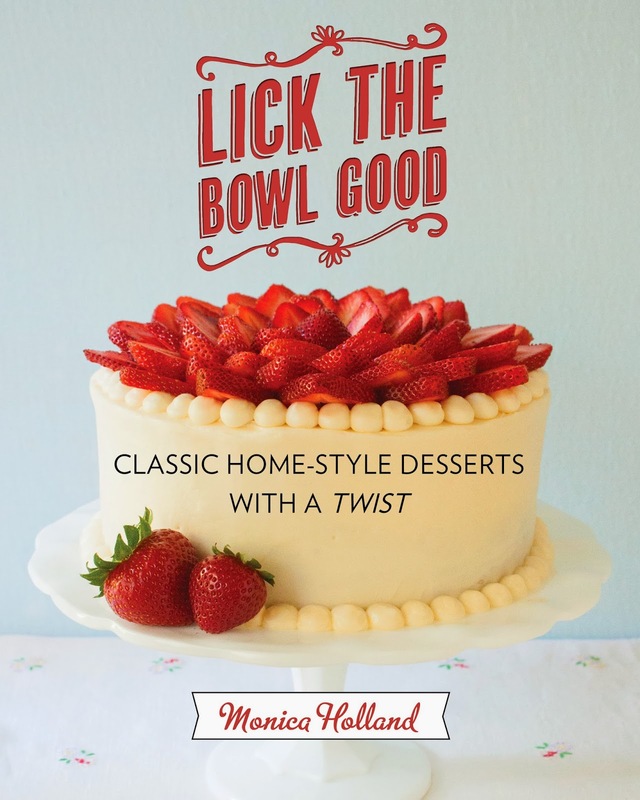 I was thrilled when the publisher contacted me about reviewing this baking book from the blogger, Monica Holland, titled Lick the Bowl Good Classic Home-Style Desserts with a Twist. The title of her book is also the name of her blog, and what a great accomplishment to have a book published of your recipes! Monica's recipes have been featured on The Huffington Post and People.com. As I looked through the book, I had a hard time deciding what to try. You knew peanut butter would be involved, don't you ? I love that this book is very old-fashioned. The recipes are simple, not a ton of ingredients, but makes desserts that will have everyone smiling! These look amazing, and they actually have a tablespoon of nutella in the center, along with the Ferraro Rocher candy on the top!! My favorite vanilla to use is Neilsen Massey Vanilla Bean Paste as it has the specks from the actual bean within the extract, and gives you a most wonderful vanilla flavor. I think I love vanilla as much as chocolate. So what did I make? Well one of my Mom's favorites is Peanut Butter Cookies, and since she has been so under the weather this whole year, I thought something like this may cheer her up. The recipe includes cinnamon in the batter, and rolled in a cinnamon sugar mix. I love cinnamon, and it is so good for you too! Here they are ready to go in the oven. The batter was very simple to mix up, and smelled amazing. There is nothing like a kitchen smelling of peanut butter!! Out of the oven, they looked wonderful. I use parchment paper when I bake, as I find it saves my baking sheets. We have 2 that were my Mom's from many years ago, and you cannot find them with that good quality anymore. I also love the way my cookies come off the baking sheet without using a spray or more butter. The finished product was really yummy! The cinnamon was just the right touch with the peanut butter. I used a peanut butter with honey, which also gave it a nice flavor. These ingredients work so well together. Simple, classic, home desserts!! For the cinnamon sugar: In a small bowl, mix and combine the 1/3 cup sugar and 1/2 tsp cinnamon. Set aside for later. In medium bowl, combine flour, cinnamon, baking soda and salt. Whisk to combine, and set aside. In a large bowl, cream the butter, peanut butter and sugar using an electric mixer until light and fluffy. Add egg and vanilla to mix and combine. Then add your flour mixture, carefully, until well incorporated. Using a small cookie scoop, 2 teaspoon size, portion out the dough. Roll the dough in between your hands to form balls, then roll the balls into the cinnamon/sugar mixture. Place on cookie sheets, flatten down to keep the balls from rolling around. Bake for 9 to 10 minutes or until lightly golden. Allow cookies to cool on pan for 5 minutes before removing. This book is great for beginner bakers, or those who have been baking a long time. The recipes are just wonderful, and most of the ingredients you probably have in your kitchen. We have quite a cookbook collection, but the books that are complicated, we tend to not really go to that often. It is a book like Lick the Bowl Good, that I will go to often because it is easy to make and tasty at the same time. The fact that this is under $20.00 is fabulous, and makes a wonderful holiday gift that won't break your budget. I am excited to try more of Monica's recipes in this book, and I am now receiving her blog posts in my email basket! A great review and what a cute title for a cookery book! 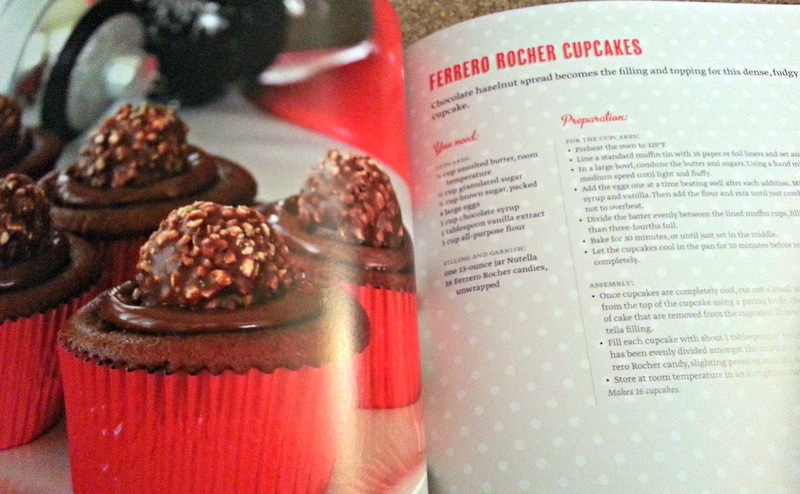 Those Ferraro Rocher cupcakes are amazing and I'm sure your Mum appreciated those cookies too! Oh my goodness, everything looks so yummy here, Rosemary! Like you, I love vanilla, so I am definitely going to try the vanilla bean paste. 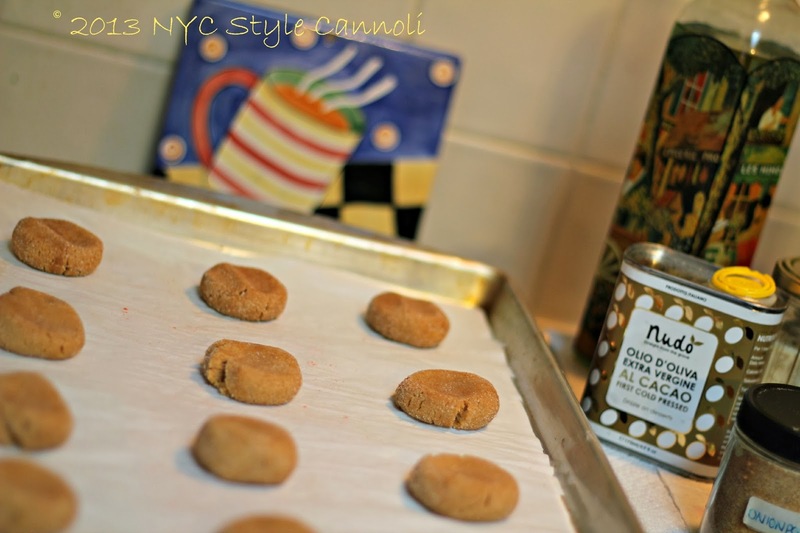 As a matter of fact, I am making cannolis tomorrow, and I'll bet this would be wonderful in place of vanilla extract. Hopefully I will be able to find some here. Thank you so much for sharing this book here!! Yes that would work wonderful If you have a Williams Sonoma they carry it or a more gourmet kitchen shop My local Wegmans has it which I was thrilled because I always ordered online for it. Let me know how you like it!! Just as I try to diet before the holidays.. you are killing me here!! Great book,I think a wonderful holiday gift too! It's always so nice when Bloggers publish their own Books to share their expertise to the World. this looks like a wonderful Book to discover. I enjoy Baking so I would definitely try this Book. Great review Rosemary. Rosemary, you did an awesome job doll. Those peanut butter cookies look delish. I love the title of the cook book. I love the cover!!! HaHaHa It's fantastic to know she has a blog too. Thanks for sharing. Yes Kim and Pam, bloggers have so much talent and are often not given enough credit This book is really wonderful Can't wait to try more recipes!! Thank you Rosemary for taking the time to make a recipe and review my cookbook on your blog. I appreciate it and I'm so glad you liked it!